All our work is carried out to BS 7671 IET Wiring Regulations. to reduce power consumption, and detail the cost of the energy efficient installations. Looking for Factory Maintenance or Energy Surveys? Atkin Maintenance, is a registered ECA/ELECSA member, concentrating on most aspects of factory maintenance, installations and energy saving LED lighting installations across the North West of England. In business since 1980, Atkin Maintenance is a well established and vastly experienced business whose customers remain loyal due to impeccable standards of work and fast response to crisis situations. We offer a range of services to save you money, keep your business operating efficiently and we respond to breakdowns swiftly. We have considerable experience in industrial electrical installations, mainly within the manufacturing and machine shop sectors. We install supplies, ranging in size from single phase installations up to 1600A industrial 3 phase supplies, and from the provision of a new machine supply to full factory installations. LED is revolutionising the lighting industry, a typical LED fitting compared to an equivalent T8 fitting can easily produce energy savings of 60%, and they are virtually maintenance free and have a design life of 50,000hrs. We are able to supply and fit British made LED products, which are manufactured in the UK and are covered by a manufactures’ 5 year, back to base warranty. Carried out by our specialists on your premises to offer advice on energy saving by the installation of energy efficient light fittings and sensors to control them. We provide a turnkey package, where following consultation, we handle all aspects of factory relocations. From site visits and planning, decommissioning and relocation of machine tools to lighting & power, pneumatics and commissioning of machine tools. 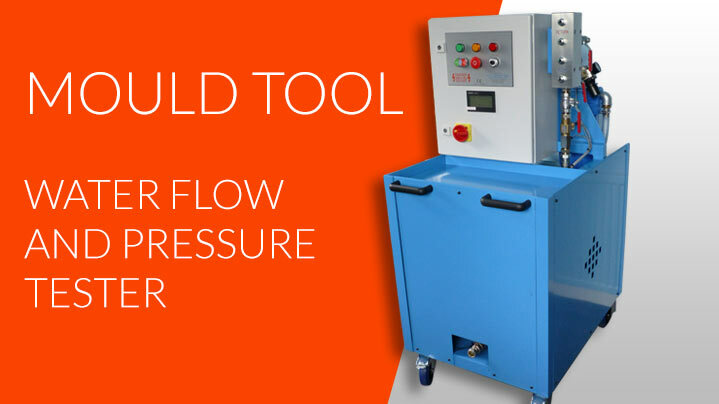 This water tester has been designed to test the cooling water circuits of plastic injection mould tools, but could also be used for various other applications which involve pressure and flow testing of various components. The first units were built in 2007 and are in trouble free daily use. All our electricians have IPAF Scissor Lift and Boom Lift licences, and hold the relevant health and safety certificates. In accordance with Personal Protective Equipment Regulations, all employees are issued with protective clothing and equipment to enable them to carry out their jobs safely.